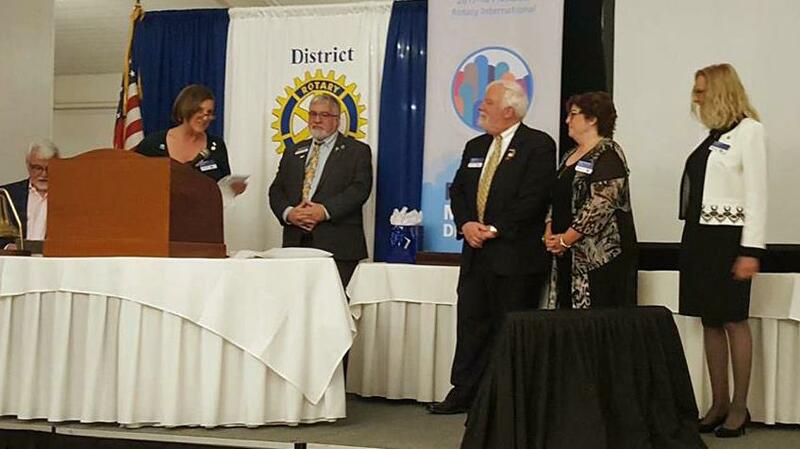 Cushing Titcomb, center rear, is sworn in as the 96th President of the Ipswich Rotary Club. His one year term began on July 1. Other Ipswich Rotarians sworn in at the District Installation were District Governor Nominee Joan Arsenault and Assistant Governor Bob Wicks. 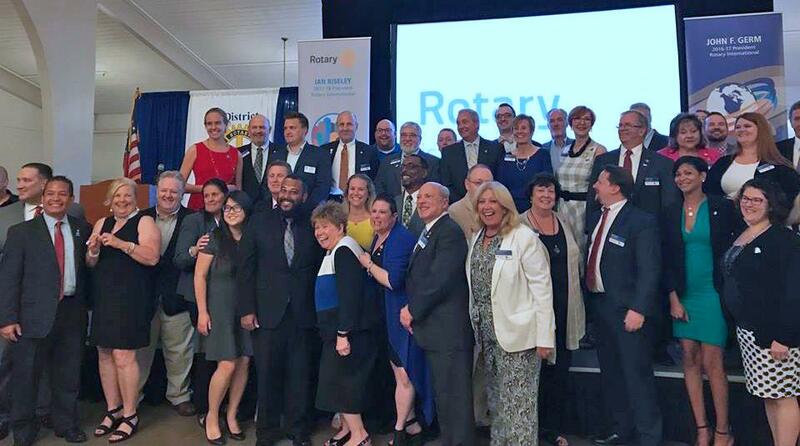 Ipswich Rotarian Sumner Richter was recognized by District Governor Dave Gardner for his outstanding contributions to the District’s Syrian refugee relief initiative. 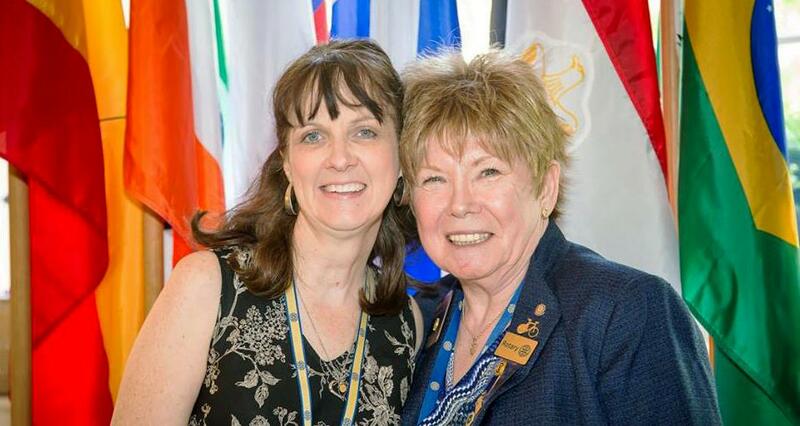 And, Ipswich Rotarian Christina Harris wrapped up her year as District Governor Sheryl Meehan's Aide de Camp. Well done Christina! Scenes are from the 2017 District Installation in Danvers which appear on the District 7930 Facebook Page. Bob Wicks, far right, is among the Presidents and AG's sworn in for 2016-17. This will be Bob's 6th year as an Assistant Governor. In this photo, Cushing is directly under the letter "T". Joan Arsenault, second from the right, becomes the District Governor Nominee, DG in 2019-20. Ipswich Rotarian Sumner Richter is seen here with his fiancé, Briney. Sumner's mother Elaine also is an Ipswich Rotarian, making Sumner a second generation Rotarian. Christina Harris was recognized for her extraordinary year of service supporting District Governor Sheryl Meehan. Additional pictures can be seen on our Facebook Page.